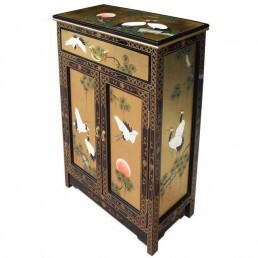 Chinese black lacquer furniture and cabinets with intricate hand painted gold leaf designs depicting Chinese cranes within beautiful sunset scenery. 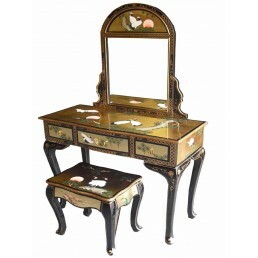 This Chinese furniture collection is simply beautiful - Elegantly luxurious it will add the Oriental touch to any designer room. 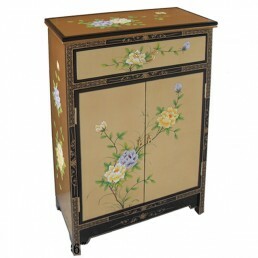 This range also includes Chinese influenced European styles that feature lovely floral designs. 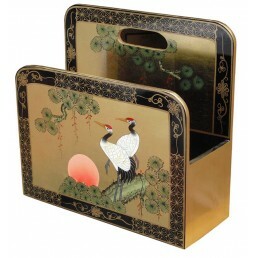 THIS COLLECTION AVAILABLE FOR USA CUSTOMERS - CONTACT US FOR DELIVERY QUOTATION. 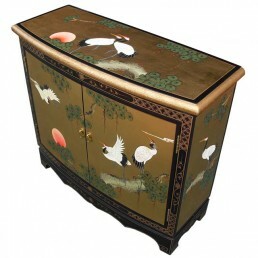 Hand-crafted Chinese gold leaf bureau decorated with hand-painted cranes, tree branches and sunse..
Gold leaf Hall cabinet with cranes design. 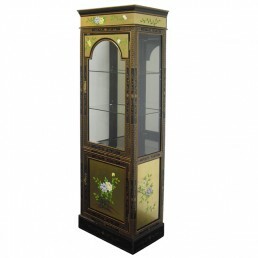 This delightful Chinese furniture is hand-crafted by s..
Chinese black lacquer curved corner or end cabinet with one drawer, two doors and two shelves. 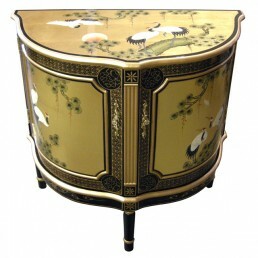 Th..
Hand-crafted Chinese gold leaf chair decorated with hand-painted cranes, tree branches and sunset..
Gold leaf chest of five drawers featuring hand painted cranes and scenery. 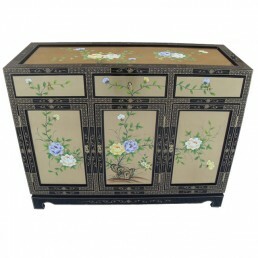 Gold leaf Hall cabinet..
Chinese black lacquer three drawer side chest with brass handles featuring gold leaf detailing an..
Chinese - European style gold leaf lacquer coffee table with floral design and glass top. 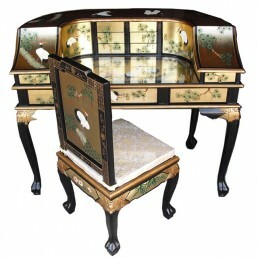 This de..
Chinese gold leaf desk and chair with mother of pearl inlay. 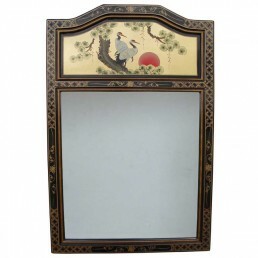 This delightful Chinese furniture is..
Gold leaf portrait mirror with Chinese designs. 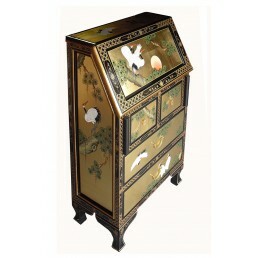 This delightful Chinese mirror is hand-crafted by..
Gold leaf cabinet with drawer and cranes design. 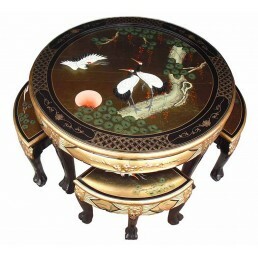 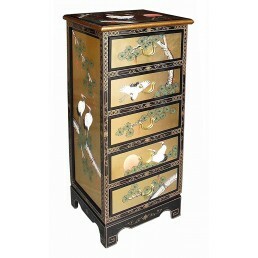 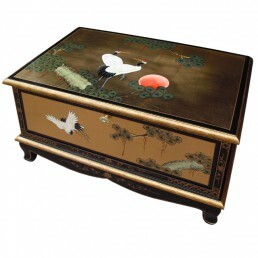 This delightful Chinese furniture is hand-crafte..
Gold leaf nest of 4 tables featuring hand painted cranes. 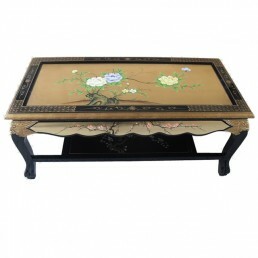 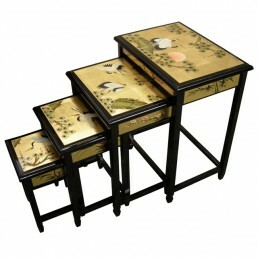 This delightful Chinese furniture is ha..
Hand-crafted round Chinese gold leaf coffee table set with four stools, decorated with hand-paint..
Chinese black lacquer table or hall stand with drawer and shelf featuring gold leaf detailing and..
Gold leaf black lacquer TV cabinet with cupboard and cranes design. 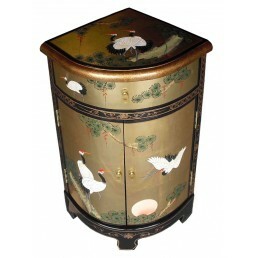 Gold leaf Hall cabinet with c..
Gold leaf square stand with shelf featuring hand painted cranes. 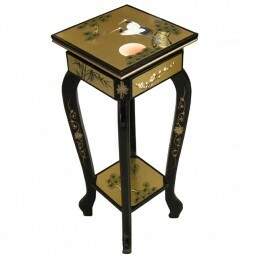 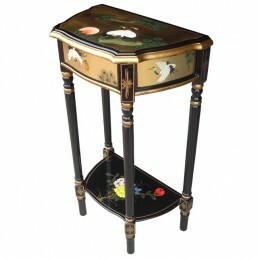 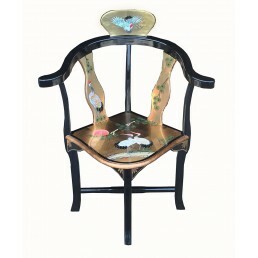 This delightful Chinese furnitur..
Chinese black lacquer, gold leaf magazine rack with cranes design. 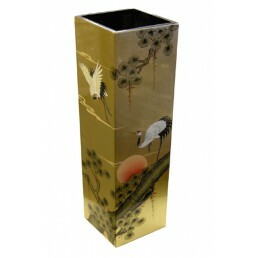 This delightful Chinese furnit..
Gold leaf umbrella holder with cranes design. 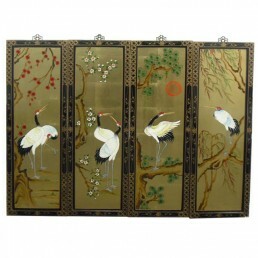 This delightful Chinese furniture is hand-crafted b..
Set of four gold leaf Chinese wall hangings featuring cranes. 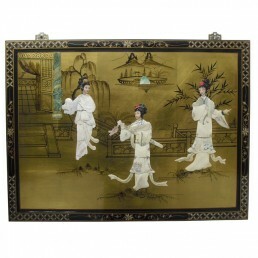 These delightful wall decorati..
Gold leaf wall hanging with three beautiful ladies. 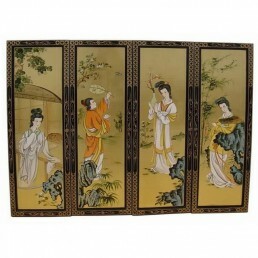 This delightful wall decoration is hand ..
Set of four gold leaf wall hangings featuring beautiful Chinese ladies, from the royal dynasties ..
Chinese - European style gold leaf lacquer display cabinet with mirror featuring hand painted flo..
Gold leaf display cabinet with mirror 2 drawers featuring hand painted blossom. 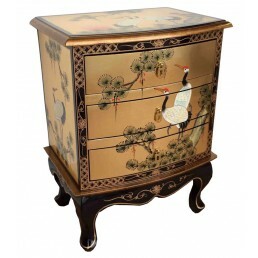 This delightful C..
Chinese - French style gold leaf lacquer cabinet with drawer featuring hand painted floral design..
Gold leaf chest of drawers featuring hand painted Euro - Chinese floral designs. 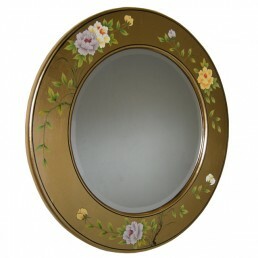 This delightful ..
Chinese - European round black lacquer mirror with gold leaf and floral design. 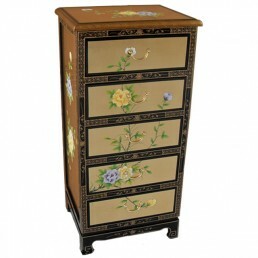 This delightful m..
Chinese - European style gold leaf lacquer chest with 4 drawers featuring hand painted floral dec..
Large Chinese - European gold leaf landscape mirror with flower design. 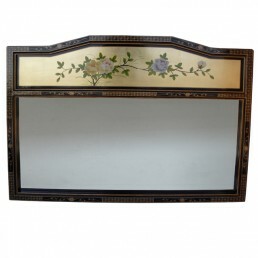 This delightful mirror is..
Gold leaf sideboard featuring hand painted floral design. 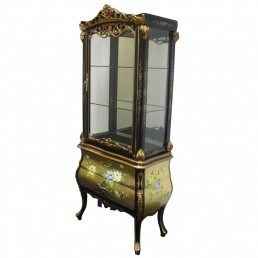 Includes safety glass top. 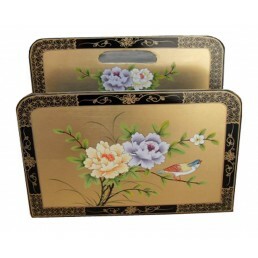 This delight..
Gold leaf magazine rack with beautiful floral design. 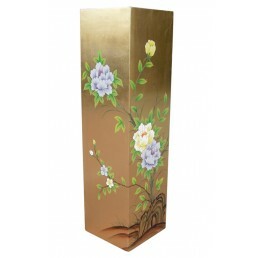 This delightful Chinese furniture is hand-c..
Gold leaf umbrella holder with floral design. 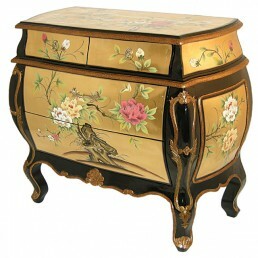 This delightful furniture is hand-crafted by skille..